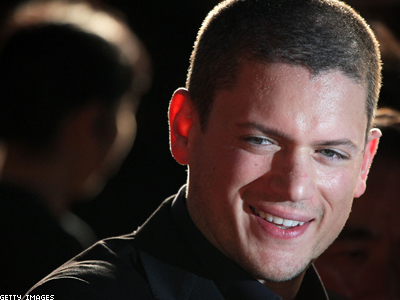 The Prison Break star came out in a letter rejecting an invitation to a Russian film festival. Wentworth Miller has released a letter rejecting an invitation to a Russian film festival, and he cites being gay as the primary reason. The Prison Break star revealed that he is gay through a letter to the director of the St. Petersburg International Film Festival, published on GLAAD's website. E! News reports that this is the actor's first public confirmation of his sexual orientation. "Thank you for your kind invitation," Miller wrote. "However, as a gay man, I must decline." "I am deeply troubled by the current attitude toward and treatment of gay men and women by the Russian government," the 41-year-old actor continued. "The situation is in no way acceptable, and I cannot in good conscience participate in a celebratory occasion hosted by a country where people like myself are being systematically denied their basic right to live and love openly." Wilson Cruz, a spokesman for GLAAD, praised Miller's letter. "Wentworth's bold show of support sends a powerful message to LGBT Russians, who are facing extreme violence and persecution: you are not alone," Cruz said. "As people from across the globe continue to speak out against Russia's horrific law, more celebrities and corporations should follow his courageous lead in openly condemning Russia's anti-LGBT law." Read the full letter after the jump.